Was "Ryan Shaw" not sent to kill Kat but undercover alias "Beckett Reid" was? He was undercover as Beckett Reid sent to protect kat. He was supposed to be a “hit man” so he could take over from Novak, but instead of killing kat, he was supposed to protect her. But then Dylan carter showed up, and what ever happened on the boat, caused his amnesia. The cops didn’t interfere as they thought it might have been part of his cover. It wasn’t until the trial, they realised he really didn’t know, who he was aka Ryan shaw. Last edited by kaz21; 18-04-2018 at 14:31. He was undercover as Beckett Reid sent to protect kat. He was supposed to be a “hit man” so he could take over from Novak, but instead of killing kat, he was supposed to protect her. But then Dylan carter showed up, and what ever happened on the boat, caused his amnesia. The cops didn’t interfere as they thought it might have been part of his cover. It wasn’t until the trial, they realised he really didn’t know. All you really need to know, is he’s actually a good guy. I dont normally read spoilers but the story line has been very confusing, plus I was getting sick of Ash and his yobbish righteousness! I really hope Torrie never takes the thug back and her brother boots him from his garage business. I was hoping we would get more detail/discussion on Dylan Carter & the boat incident ie if Robbo/Beckett Reid was supposed to be going to kill Kat for the bad guys, why was Dylan pointing the gun at Robbo on the marina? As one of the bad guys, did Dylan find out that Robbo was undercover & was going to save her instead, so he confronted him, leading to the altercation on the boat etc etc? OR did Dylan still 'love' Kat (remember he had all the pictures of Kat on the wall of his house when the cops, including Kat, raided it), & still thinking Robbo was on his way to kill Kat for his associates, he tried to stop him anyway etc etc? Disappointingly I gather we will never find these type of answers out now as Robbo supposedly still can't remember what happened on the boat & it looks we won't be getting anymore details of what happened now with Robbo/Ryan Shaw a free man - he told Colby the truth when he returned in last night's episode, but it was offscreen. In next Monday's ep he is supposed to confront Ash & tell him the (whole?) story, so we might get some extra bits there, but I doubt it. It seems they just want the story wrapped up quickly so they can move on with Robbo. Lance is supposed to make a reappearance in a couple of weeks so we might get more info, but again, I doubt it. Also, with Dylan Carter's body never being found, & all these unanswered questions as to what happened on the boat, are we someday in the future going to have a storyline where he 'returns from the dead' to seek revenge on Robbo..........??? Tori's friend, Professor Juliette Pickford, is played by English actress Lisa Kay. She also recently made a quick appearance on Neighbours as Rita Newland. Among other things, she played Nurse Carol Cassidy on Heartbeat (2006 - 2010). Last edited by Pantherboy; 25-04-2018 at 01:03. Home and Away reveals Robbo's full backstory later this month after his trial is gatecrashed by federal agents. 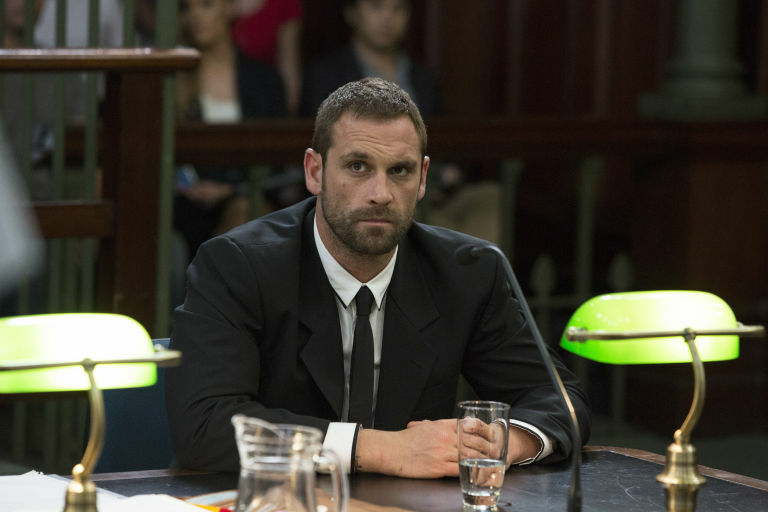 Robbo (Jake Ryan) heads to court after being charged for crimes committed by professional hitman Beckett Reid. The authorities are convinced that Robbo was Beckett before he lost his memories last year, but a big twist at the trial is about to change everything. Just when things are looking bad for Robbo, federal agents storm into the courtroom and drag him away – taking full control of his fate. Robbo has no idea what's going on when he's taken to a remote warehouse, but all becomes clear when he meets federal police officer Lance Salisbury. With Lance's help, Robbo's memories finally make a full return and he remembers that he was once a federal police officer too. Robbo – or Ryan Shaw, as he was once known – went undercover as 'Beckett Reid' to track down the people who killed his family. 'Beckett' was only ever a fictional creation to help Ryan maintain his cover, which means the charges against him are now meaningless. Robbo also looks set to escape punishment for the death of Dennis Novak, since he only killed him in self-defence. Faced with the possibility of being a free man again, Robbo is overwhelmed. What does the future hold for him? Home and Away airs these scenes on Wednesday, May 16, Thursday, May 17 and Friday, May 18 at 1.15pm and 6pm on Channel 5.